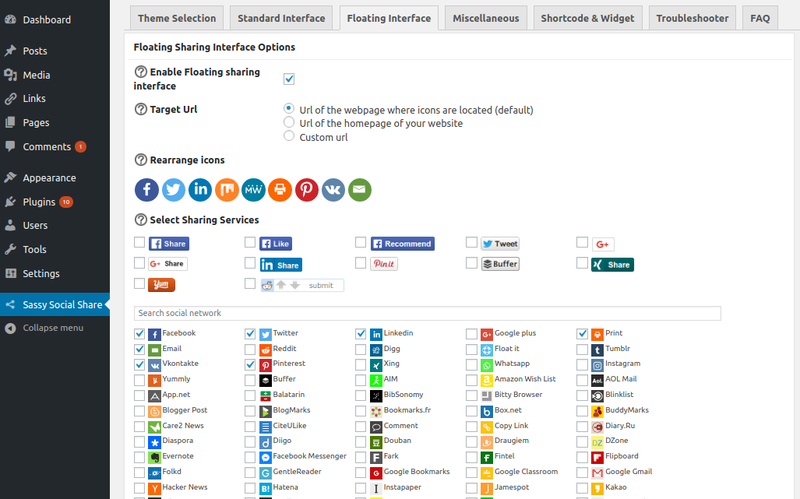 How to Configure Sassy Social Share? 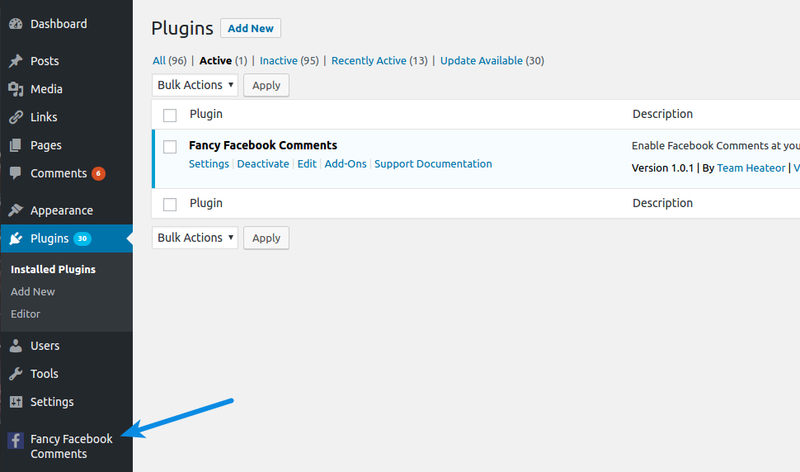 After installing the Sassy Social Share plugin, you can configure Sassy Social Share from configuration menu in the left sidebar in admin area depending upon which feature you want to use. 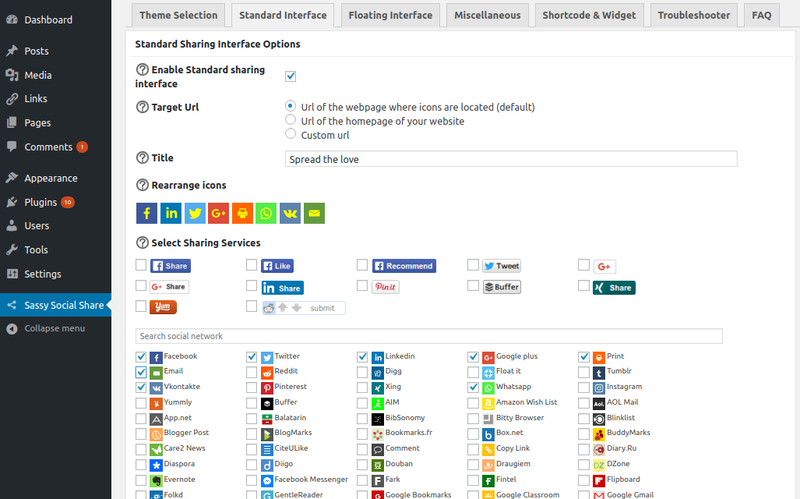 In the Theme Selection section you can change the default look of social share icons. Every option has (?) icon before it that you can click to get more detailed info about that option. 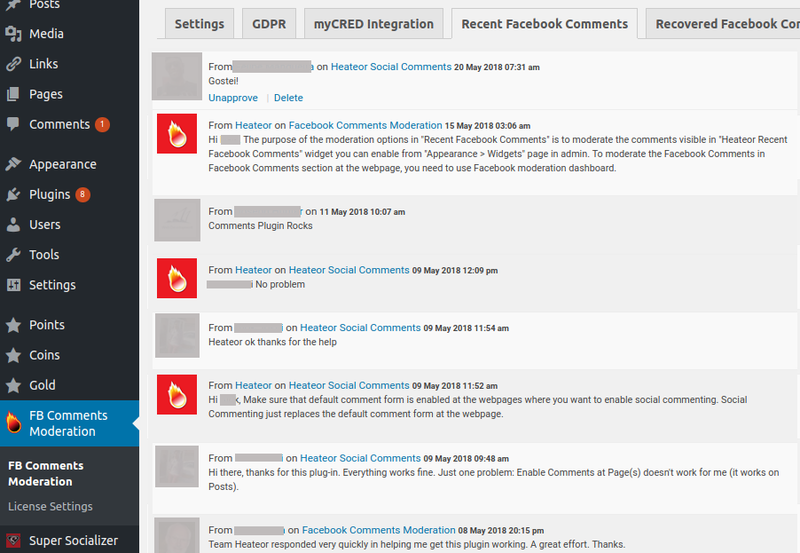 Here you can integrate the horizontal static social share bar at your webpages. 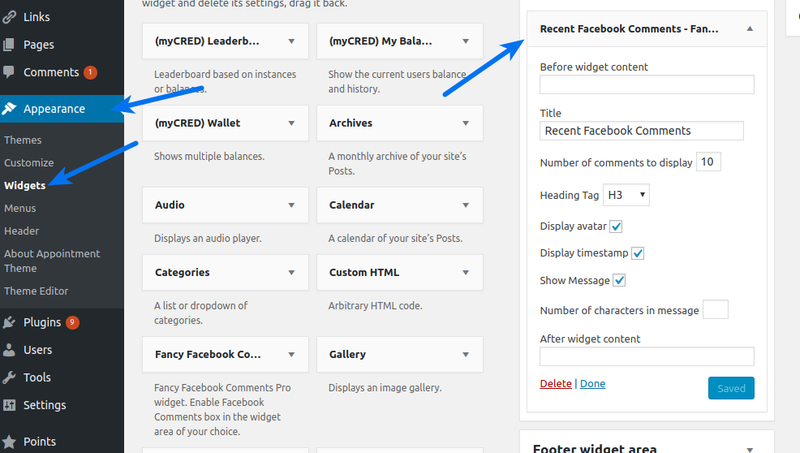 Here you can integrate the vertical floating social share bar at your webpages. 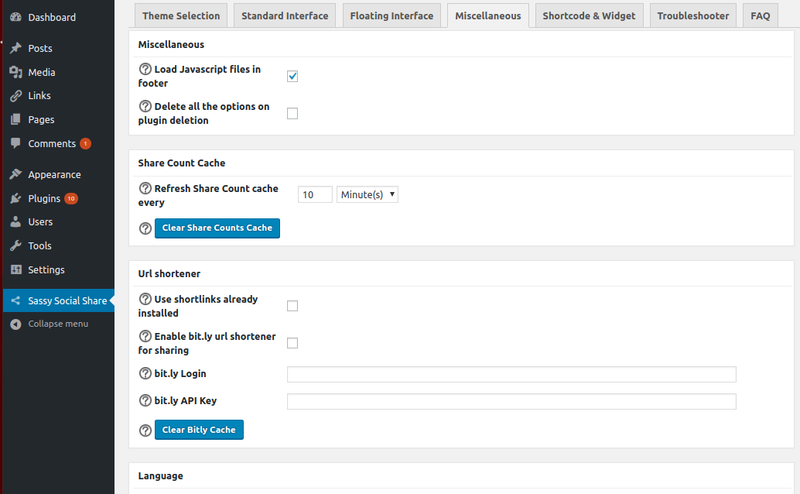 Here you can configure miscellaneous other options, like url shortener, social share counts caching etc. 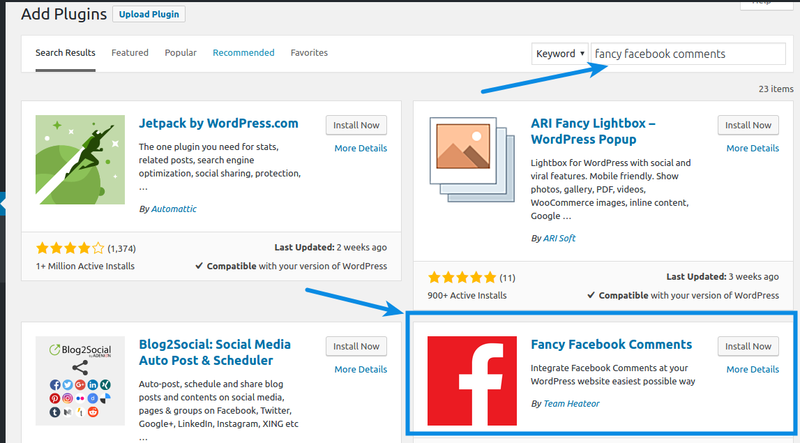 You can integrate the Sassy Social Share – Follow Icons widget from Appearance > Widgets page in admin area to redirect website visitors to your social media pages. How to Moderate Facebook Comments? 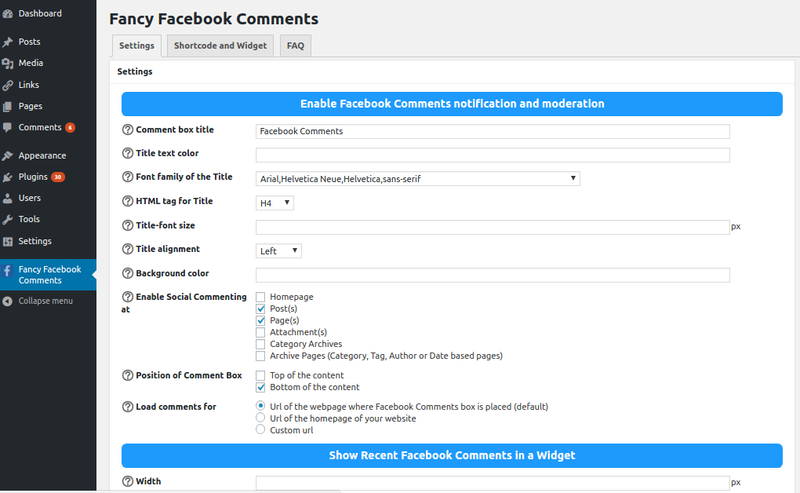 If you want to Moderate Facebook Comments and take full control over Facebook Comments made at your WordPress website, approve/disapprove/hide comments, blacklist words in the comments, ban users, add moderators, you should install Facebook Comments Moderation. If you have already installed the plugin, following are the steps to configure it. After saving the Facebook App ID, you will see a link right below Facebook App ID option – “Go to moderation dashboard“. 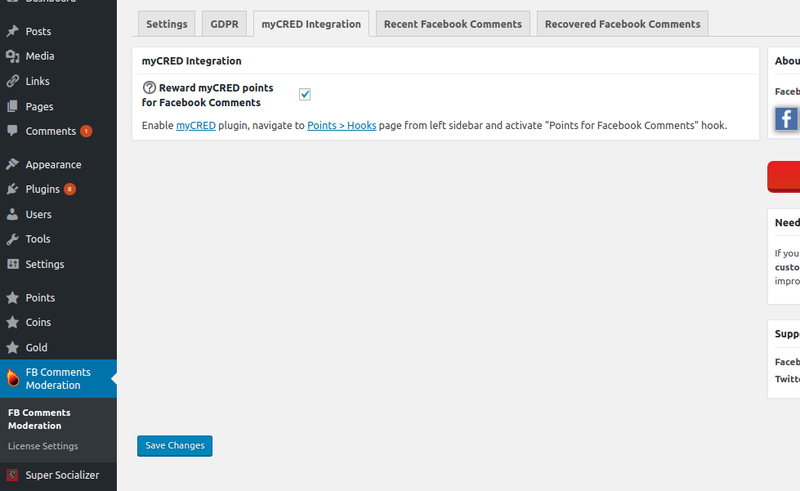 This link will redirect you to moderation dashboard where you will see the Facebook Comments made all over your website. If you are not able to see comments there, navigate to Facebook debugger tool (https://developers.facebook.com/tools/debug/og/object/) and fetch new scrape information for the webpage for which you are having issues to see comments. 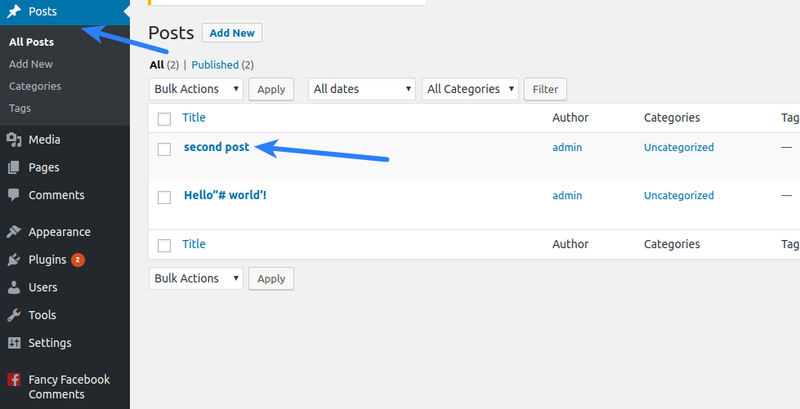 After fetching new scrape information, refresh the moderation dashboard. 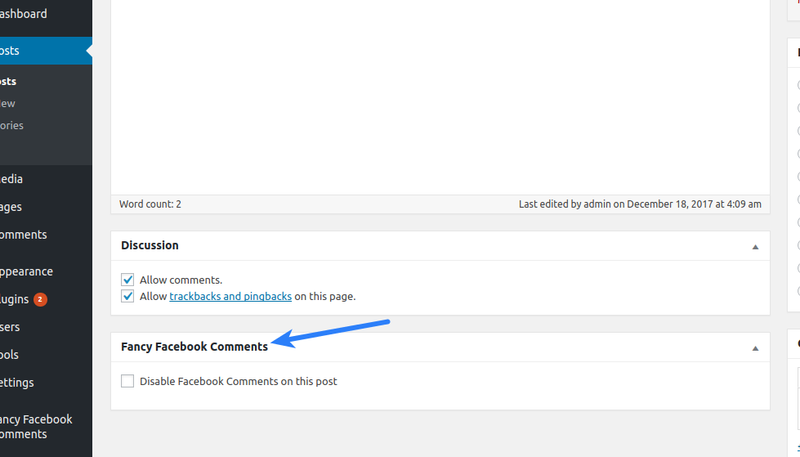 If you want to moderate the comments right from the webpage where comments are made, you can save your Facebook account numeric ID in the Moderator FB ID(s) option. Click the (?) icon before this option to get an idea about where to get the numeric ID associated to your Facebook account. 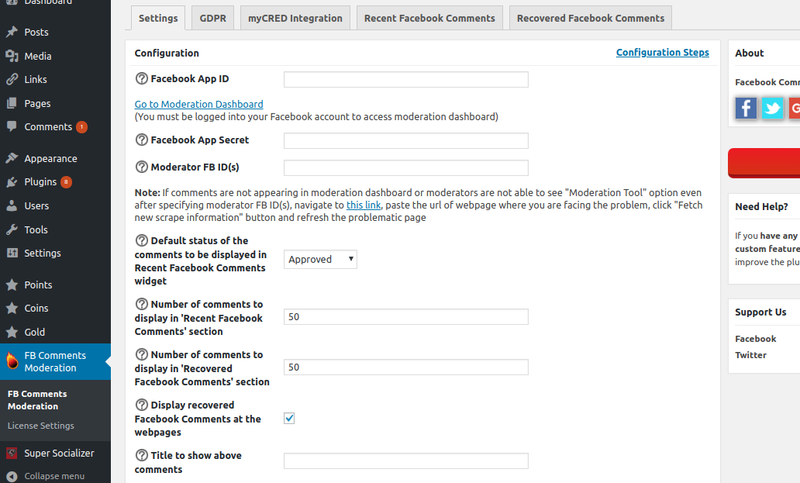 After saving it and refreshing any webpage, you will see Moderation Tool option (2nd screenshot at https://www.heateor.com/facebook-comments-moderation/ page) in the Facebook Comments interface at your webpage. If you don’t see it, you need to fetch new scrape information as mentioned in the previous step. 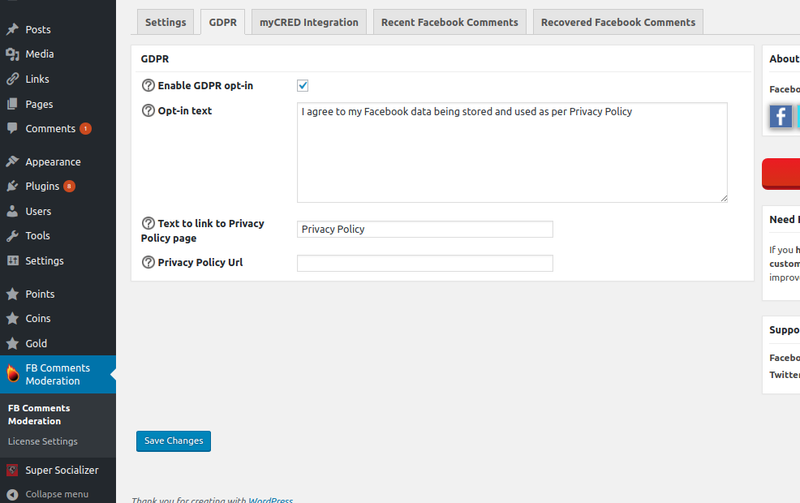 Recovered Facebook Comments section is of not any use since the introduction of EU-GDPR law. This section displays recovered Facebook Comments only to the users who bought the add-on when recovering Facebook comments was a feature of the add-on. How to Disable Facebook Comments at Individual Posts? Why the Color of Share Icons is not Being Updated? If you are using Sassy Social Share or Super Socializer plugin and sharing icons are all white regardless of the color you have saved in Logo Color option in Theme Selection section at plugin options page, you are at the right place. The plugin has to update the logo color in plugin’s CSS every time you update the plugin, if you have specified any Logo Color, because the plugin’s default CSS files have logo color set as white. 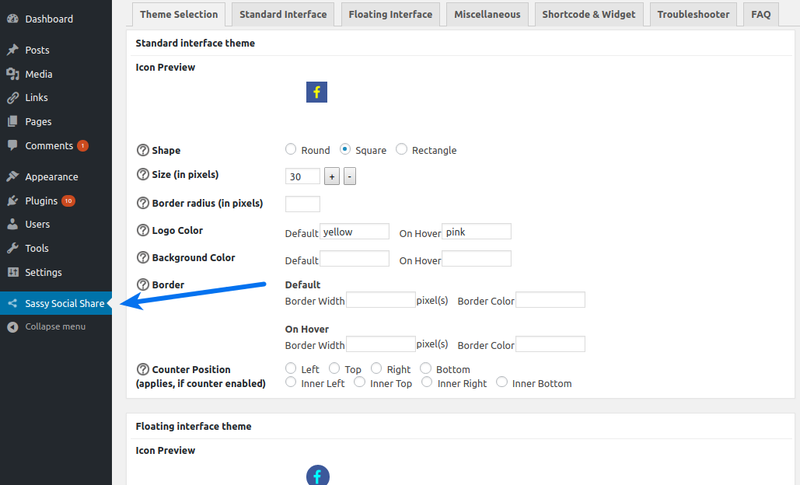 Icon color vanishes when server/request timeout occurs while updating the logo color in plugin CSS, after you update the plugin or while updating logo color manually from Theme Selection section at plugin options page. 1. Save #fff only in those Logo Color (Default or/and On Hover) options in Standard Interface Theme and Floating Interface Theme options in Theme Selection section in which you have saved a color, at Super Socializer > Social Sharing page (or Sassy Social Share page if using Sassy Social Share plugin) in admin area and save changes. 2. 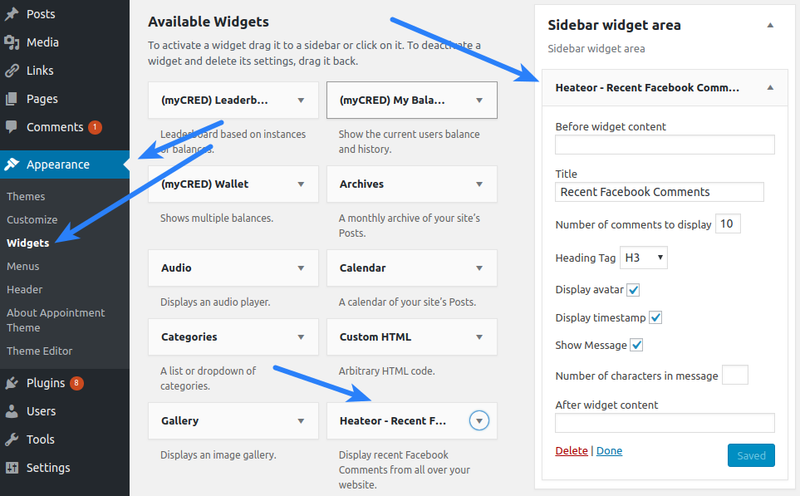 Disable “Delete all the options on plugin deletion” option at Super Socializer > General Options page (or in Miscellaneous section at Sassy Social Share options page if using Sassy Social Share plugin) and save changes. 3. Deactivate, delete the plugin from Plugins page in admin area and re-install the plugin. Idea here is to update Logo color one-by-one rather than in one go to avoid request timeout.